The last time a bond insurer was rated AAA was in 2010 when Assured Guaranty was downgraded by S&P following the financial crisis of 2008. Active bond insurers today are not rated AAA but have dramatically improved their capital adequacy and underwriting practices. This article addresses how to evaluate the financial strength and performance of bond insurers so you can decide if the benefits of their financial guarantees are worth accepting the lower yield of insured bonds. Before the financial crisis of 2007-2008, there were nine companies underwriting bond insurance. Today, there are only two: Assured Guaranty and Build America Mutual (BAM). How did this happen? Most insurers took large losses from asset-backed securities or credit default obligations when the real estate market collapsed. These losses led rating agencies to downgrade the insurers’ credit ratings, forcing them to cease underwriting new policies. Assured and FSA survived the crisis as a result of their lower exposure to those asset classes and later merged. Downgrades to bond insurers shook investors’ confidence in the industry. 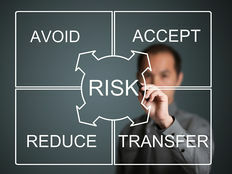 Without an AAA bond insurer, investors could no longer achieve the highest credit rating through buying insured bonds. To make matters worse, in some cases the bond insurance rating was downgraded below the underlying rating of the municipality. The benefit of bond insurance had been tarnished. With lowered confidence in the bond insurers, it was a very challenging market to underwrite bond insurance and Assured was the only active underwriter for several years following the crisis. It wasn’t until 2012 when BAM emerged and began underwriting municipal bond insurance that the bond insurance market showed signs of improvement. Over time, the bond insurers made an effort to refocus on improving their balance sheets through reduced leverage, improved claims paying resources and by taking less risk on the types of bonds they insure. Let’s examine how several key parameters have improved for bond insurers since the financial crisis. Each of the following parameters help explain the financial strength of the insurer. 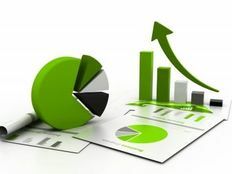 By examining these metrics, investors can be reassured the protection provided through bond insurance makes it worthwhile to accept the lower yield of insured bonds compared to uninsured bonds. Claims Paying Resources (CPR) are the assets used to support the insurer’s financial guarantees. Insurers set money aside, or reserves, for estimated future claims payments. The insurance company invests these assets in mostly fixed-income securities to generate investment income to support claims payments. In addition to the investment portfolio, insurers have access to revolving credit facilities to provide additional liquidity to cash on hand. Claims paying resources also include unearned premium reserves, the present value of future installment premiums and the value of any reinsurance agreements. Investors should pay attention to the ratio of insured par to CPR – a lower ratio is a stronger financial guarantee. Assured’s insured par to CPR was $222 billion to $4.9 billion in 2008 for a ratio of 45:1. Today, Assured has nearly cut that ratio in half with $298.2 billion net par outstanding to $12.1 billion of CPR for a ratio of 25:1. Leverage is typically thought of as the use of debt to finance capital needs. For bond insurers, leverage is the amount of par exposure the insurer has underwritten relative to their CPR. A higher ratio of par exposure to CPR increases risk. Bond insurers historically faced low default rates until the financial crisis so they were able to use a higher degree of leverage. The losses from exposure to non-municipal bonds changed this and insurers lowered their leverage ratios. As of March 31, 2017, BAM had a par to CPR leverage ratio of 55.6x, National 40x and Assured 22×. While Assured and National’s leverage ratios have declined over the past several years, BAM’s has increased as they have gained market share. Liquidity strength is measured by the ability of an insurer to meet their short-term obligations through cash generated from operations and their investment portfolio. Insurers must be highly liquid to ensure they have the resources available to pay claims as they come due. Fortunately, insurers have plenty of time to prepare for claims because they do not have to make any payments until the defaulting bond’s interest or principal payments are due. Insurers invest their portfolios in highly rated bonds of mostly U.S. Treasuries and U.S. municipal bonds for that reason. For example, over 70% of AGM’s portfolio is invested in securities rated AA or higher. There is no single ratio to measure the complete liquidity strength of an insurer. Investors should consider the quality of the investment portfolio, additional borrowing capacity on the insurer’s credit facility, and premium and investment income as sources of liquidity. For public companies such as Assured, investors should be careful that the company is not paying out excessive dividends or share buybacks that could lead to liquidity constraints. Overall liquidity has improved since the financial crisis as default rates have normalized and there are fewer claim payments to be made. Portfolio quality can be analyzed by looking at the types of bonds insurers underwrite along with the credit rating distribution of that portfolio of bonds. BAM created a new model of insuring only investment grade U.S. municipal bonds to avoid the asset-backed securities that created problems in the past. Assured’s subsidiary, Municipal Assurance Corp. (MAC), follows a very similar underwriting standard as BAM. Of the top three insurers, only 4.25% of their total insured par is rated below investment grade, with much of that related to exposure to Puerto Rico. Portfolio diversification can be accomplished through underwriting a mix of both general obligation and revenue-backed bonds. By choosing multiple revenue sources and geographic locations, insurers limit their risk to any one particular issuer or region. BAM presents an interesting case as it has chosen to be even more restrictive in its underwriting standards by insuring only bonds meant for “essential public purposes” including schools, utilities, and other G.O and tax-backed bonds for core government functions. By insuring non-municipal exposures prior to the crisis, insurers increased portfolio diversification across asset classes, but this turned out to be a mistake. Today, portfolio diversification is achieved within the municipal sector through credit underwriting selection. 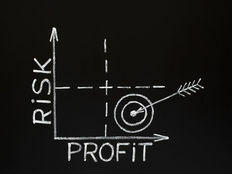 Profitability of the insurer can be measured through ratios, such as return on equity (ROE), profit margins or by examining the net income of the company on the income statement. To be profitable, insurers rely on their underwriting process to properly measure the risk of the bonds they insure. Their income earned from premiums and their investment portfolios must exceed their claims payments and other expenses to be profitable. The chart below shows how Assured has improved its ROE following the crisis. Other than 2012, when both realized and unrealized losses increased on credit derivatives, Assured has experienced double-digit ROE since 2010. Improved ROE indicates a strengthening business and better ability to honor financial guarantee. Unearned premiums are the result of the full payments bond issuers pay upfront to the insurer when bonds are issued. Unearned premiums can be found as a liability on the balance sheet as the unearned premium reserve. The insurer recognizes this premium as income over the bond’s life. An interesting side effect of low interest rates is the increase in bond refinancings. Low interest rates have caused unearned premium reserves to decline because bonds that are called for refinancing purposes make the unearned premium recognized as income immediately. Examining the claims payment history helps assess how the insurer has performed when claims arise. Most recently, the default of Puerto Rico has caused both Assured and National to make claims payments on Puerto Rico bonds. The good thing is both insurers likely have the capital needed to cover Puerto Rico losses, according to S&P. Stress testing is another way to measure the financial strength and capital adequacy of insurers. By forecasting various recovery scenarios for defaulted bonds, stress-testing methodology can determine if the insurers have the capacity to cover claims payments. For instance, in its June 2016 report on Puerto Rico bond exposure, S&P provided multiple scenarios over the next four years to estimate losses as low as 15% and as high as 100%. According to the report, it would take losses up to 55% and 45% to put pressure on Assured’s and National’s financial strength, respectively. The use of stress testing is a helpful tool to predict how insurers would perform in times of distress. The strength of financial guarantees made by insurers are only as strong as their financial position. It is clear the financial position of the insurers today is much stronger today than it was before the crisis. Lower leverage ratios, higher claims paying resources, improved portfolio quality and a trend towards higher profitability are evidence of that.